Check out this podcast episode I was interviewed in! Episode 35 of "Ignite Her Fire"
Key takeaways: All foods fit in a healthy lifestyle, and you don't have to be hospitalized/look "sick" to get help with your eating, Registered Dietitians are different than "nutritionists" or "health coaches," sugar is not evil, keto is not a good diet plan, we need to STOP talking about our bodies!, a little about my acting...and I'm sorry you have to hear me sing (and yes, I know the lyrics are out of order). A podcast full of stories of badass women living life on their own terms. Thanks to Sabrina and Shawna for hosting me! Want to learn more? Sign up for my monthly newsletter for free nutrition/health info, and body positive messaging! Yaass, I want free stuff!!! Libby is a non-diet Registered Dietitian focusing on eating disorder treatment and prevention. She approaches health from the inclusive standpoint that any "body" can focus on health regardless of size. She is a ally in diversity. 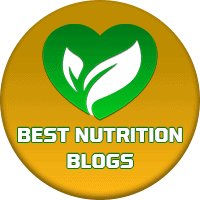 Click To Get The Monthly Newsletter With Nutrition Insight & Freebies! it is not a substitute for medical or mental health advice or treatment.